ANC6B meets at 7:00pm in The Hill Center. Book Sale at Southeast Library, 10am to 3pm, sponsored by the Friends of Southeast Library. Thousands of books – most hardbacks are a dollar, and most paperbacks are two for a dollar. Proceeds benefit the Library. Comments Off on The Week Ahead …. 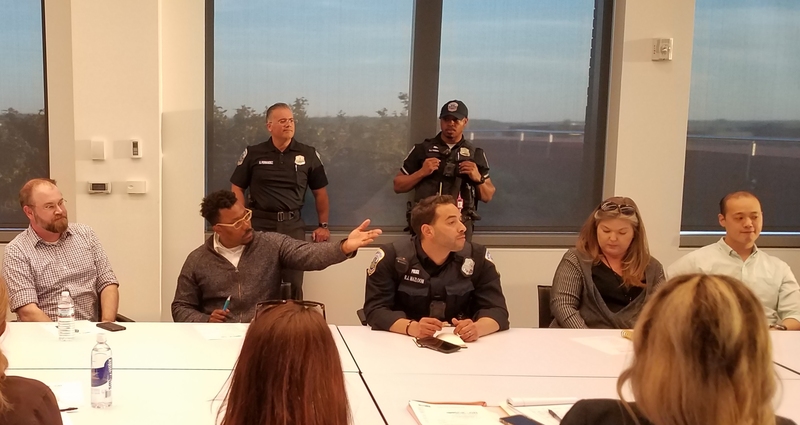 Last night, some 50 Capitol Hill residents attended a meeting in The Hill Center to hear Metropolitan Police explain their continuing efforts to address a sudden spike in pedestrian and business robberies in the neighborhood. 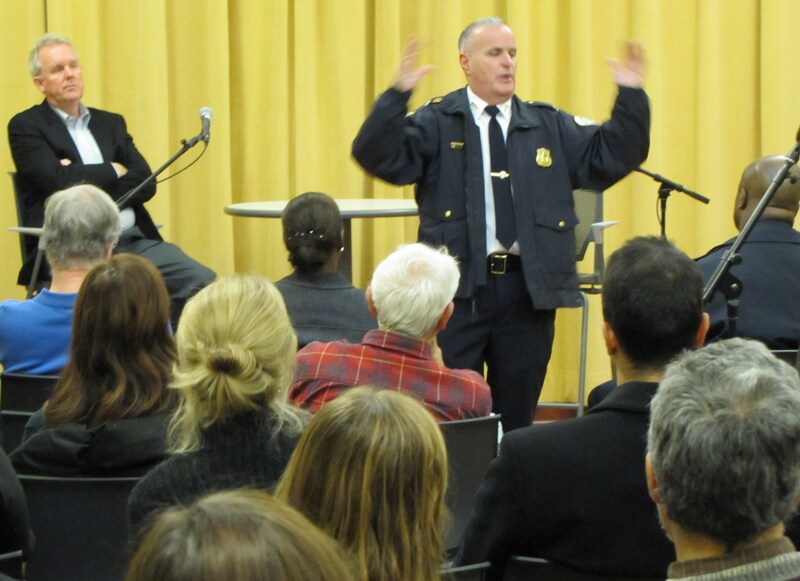 There were a total of 14 robberies in December of 2011, many of them near Eastern Market Metro. All but one of the robberies took place at night, and pedestrians were the victims in all but one. (Radio Shack suffered an armed robbery on December 23.) There have been no instances of pedestrian crime since MPD instituted a plan to address the issue, though a 7/11 was held up January 2. MPD Commander Hickson, Lt. Fowler and a handful of police officials and officers were on hand to explain MPD’s response to the spike and to tell residents what they can do to protect themselves and their community. Be alert and stay observant. Part of the problem in making arrests is the inability of victims to identify their assailants. Don’t hesitate to call 911 if you have suspicions of criminal activity. Go to the MPD website (MPD.dc.gov) and sign up for “Alert DC Rapid Text Notification.” Alert DC is an emergency notification system that provides different ways to get real-time text information regarding police activity and to help citizens prepare for and respond to emergencies and disasters. Finally, Dickson urged citizens to get involved with their Public Service Areas (PSAs). 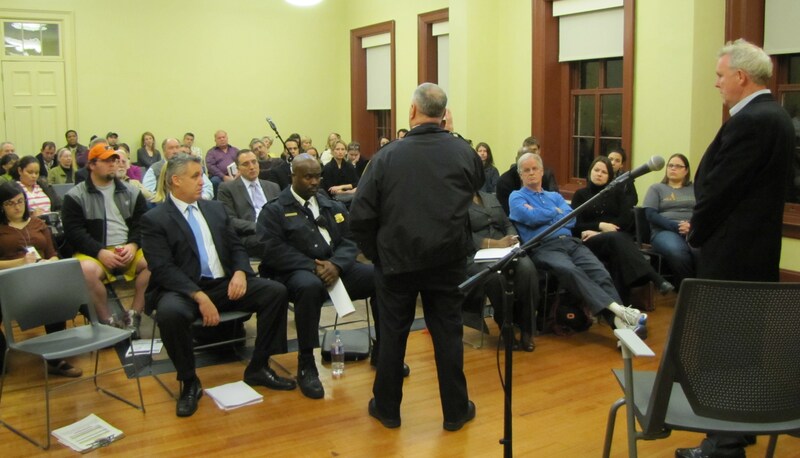 Involvement, he said, can be coordinated through (ANC6B) Commissioners – most of whom were present at the meeting. CM Tommy Wells will host a meeting on the recent significant increase in street crime on Capitol Hill, including a rash of muggings and two armed holdups of neighborhood businesses. Police officials from the First District will participate. The meeting is scheduled for 6:30pm at the Hill Center, 921 Pennsylvania Ave. SE. Last night, at ANC6B’s Planning and Zoning Committee meeting chaired by Commissioner Francis Campbell, Jim Tanious, representing the National Community Church (NCC), presented the church’s request to demolish the former Miles Glass Company Building at 733 Virginia Avenue, SE, and the former auto repair shop at 701 Virginia Avenue, SE. The church hopes the work will be completed by March. 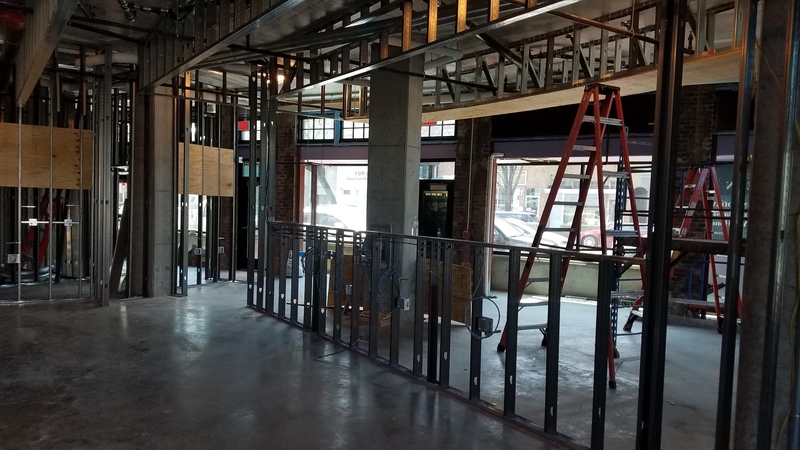 NCC will then move to establish a temporary parking lot and community green space for an estimated two year period while plans are finalized for the site’s ultimate purpose, which could include an Ebenezer’s Coffee Shop and additional congregational meeting space. The church had originally planned to construct its primary meeting space on the site when that plan was sidetracked by the purchase of the former movie theater at 545 8th Street, SE, which at the time housed The People’s Church. Tanious announced Tuesday night that NCC hopes to reopen the film theater to the community this spring when it is not being used by the congregation. Asked if the proposed lot would be managed by a parking company, Tanious said that plans had not been finalized. Other suggested uses for portions of the several-acre site which emerged during the discussion last night included parking for the Fire Department and parking for the mobile construction offices for CSX which is scheduled to begin rebuilding the CSX tunnel under Virginia Avenue in the near future. 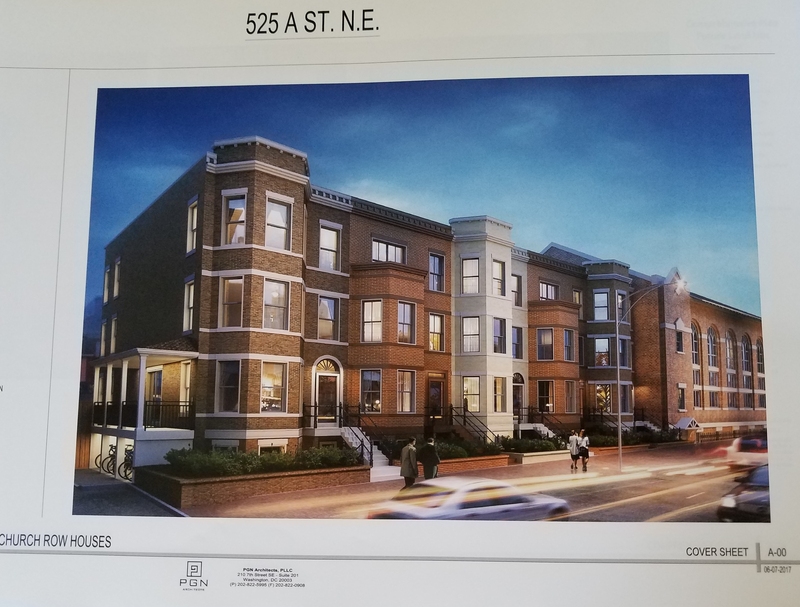 The raze permit passed the Committee unanimously and is likely to sail through the full ANC6B when it meets at The Hill Center on Tuesday, January 10. ANC6B’s Planning and Zoning Committee meets at St. Coletta’s School. Eastern Market Community Advisory Committee (EMCAC) meets in the North Hall of Eastern Market..
Eastern Market legislation and additional issues TBA. .
ANC6B’s Transportation Committee meets at The Hill Center, third floor. ANC6B’s ABC Committee meets at The Hill Center, third floor.